This tech company makes keeping your cool in the fast-paced digital world easy and effortless. 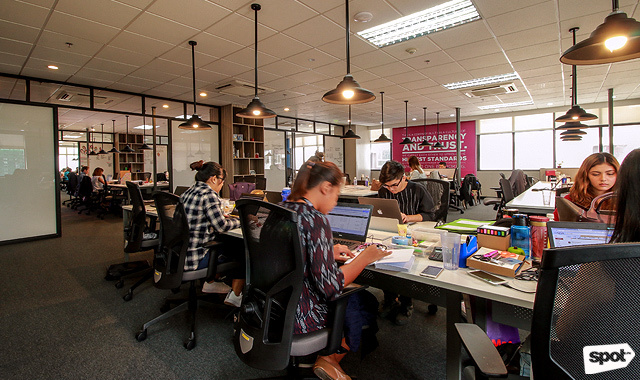 (SPOT.ph) Over the last couple of years, several start-ups and tech-centric offices have cropped up to meet the demands of a growing mobile and digital market. With the rise of work-meets-play spaces like Google and Facebook, there’s been pressure for Internet-based companies to create frenetic, hyper-visual offices that blur the lines between fun and serious work. What was once a novel idea has turned into a bit of a design cliché, which is why it’s refreshing to see workspaces like AdSpark, which stay on-trend without losing a unique sense of character. AdSpark is a young subsidiary of Globe Telecom. What started out as a team of five people in a small corner of Globe’s main office has grown into its own completely separate space. 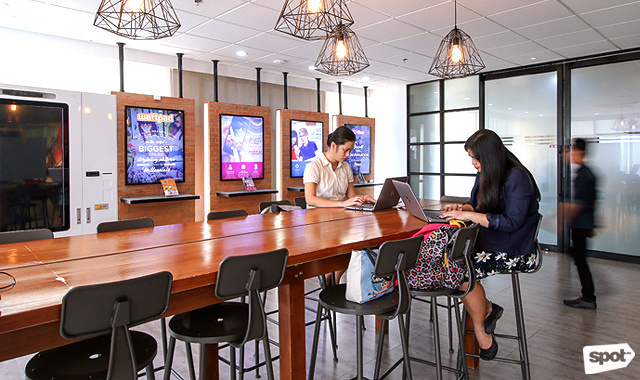 Set in BGC, the AdSpark office is a dynamic, one-storey space carrying all the urban-chic accouterments you would expect from a tech-focused workplace—graphic tile work, metal embellishments, and open floor plans. 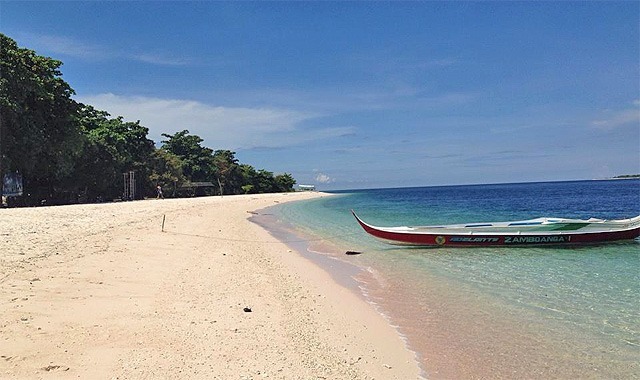 The vibe is easy, calm, and chill. 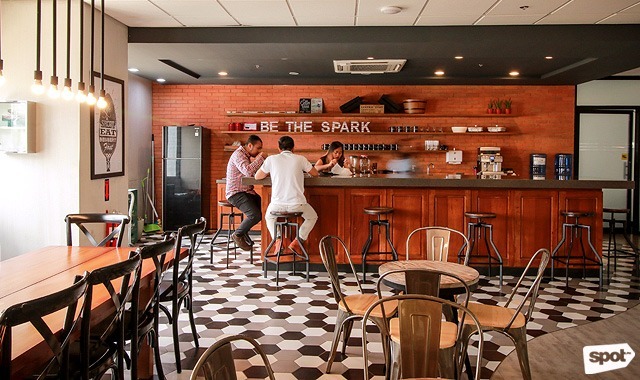 Despite the frenzy that digital work often inspires, the mood at AdSpark is cool and composed. The lobby is light, airy, and expansive. The predominantly white- and neutral-colored space is an instant mood booster. 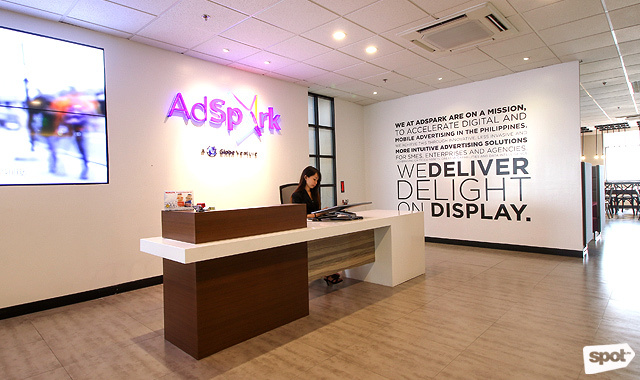 A large screen flashes relevant stats and figures explaining how dependent Filipinos have become on mobile and digital technology—a sure way to catch visitors’ and clients’ attention, giving them a preview of what AdSpark has to offer. 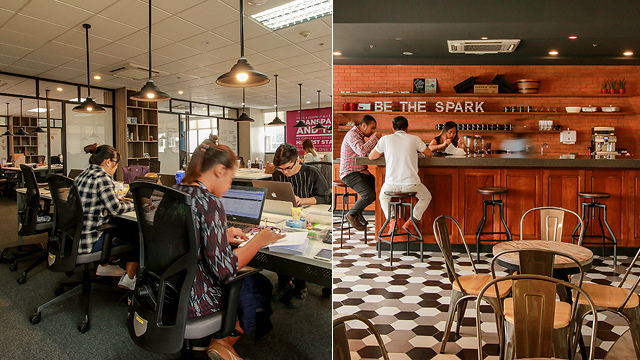 The Mobile Experience space or Mobex is one of the many flexible spaces at the AdSpark office. Primarily a place where employees can work and gather for brainstorming or huddles, it offers folks an alternative work area. Surrounded by a gallery of products, the well-lit space is casual and comfortable. The main work desk is surrounded by bar stools and accented by geometric metal lamps. The perimeter is lined by brick wall installations held up by black pipes, a subtle homage to the industrial era inspiring the design of the space. 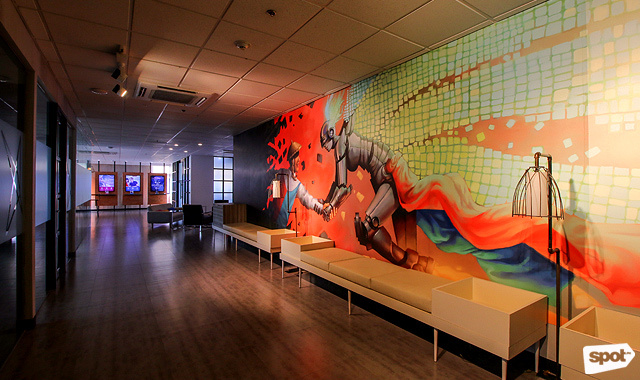 One of the biggest conversation pieces at the AdSpark office is the hallway mural by UP Fine Arts student Juan Paolo Magtira. Entitled “Intertwined,” the piece was the winner in an open call for college students to submit artwork based on the theme, “Digital Filipino.” Mid-century modern-inspired benches are set in front of the mural—a fun throwback to the telephone benches of the 1960s. 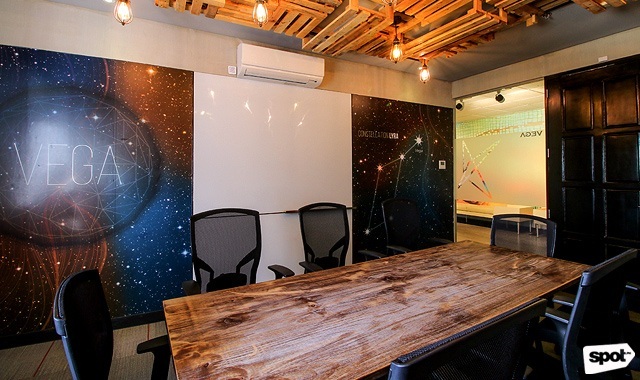 Fronting the seating area and the mural are AdSpark’s three meeting rooms, Polaris, Sirius, and Vega. 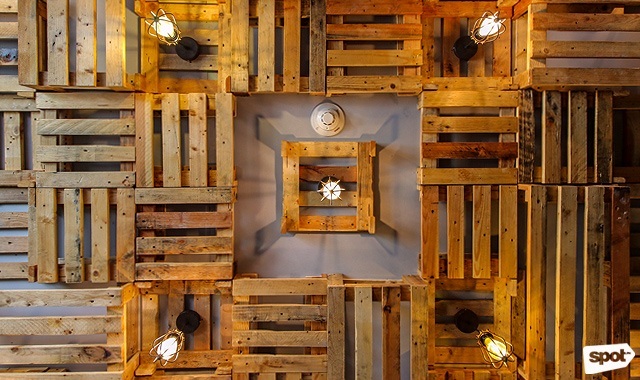 Each meeting room holds an unfinished wood desk coupled with a wood-pallet and caged Edison bulb installation. These enclosed spaces offer just enough privacy for meetings, but enough transparency (glass walls are perfect for scribbling notes) to let the hallway light in. The main workstation plays host to majority of the AdSpark work force. Open desks fill the space, highlighted by suspended overhead lamps, which add to the chic, industrial ambience. 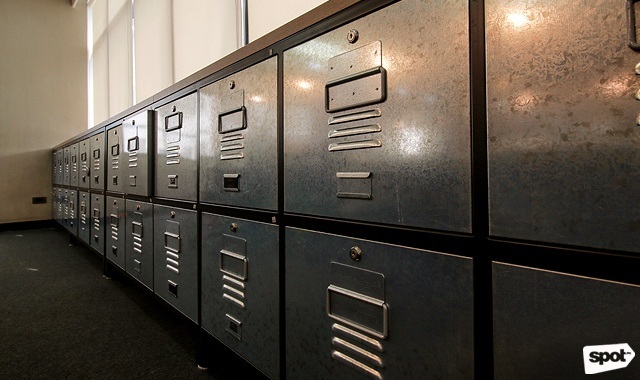 Mid-height steel lockers circle the perimeter of the space, some even labeled with classic Dymo stickers, providing a fun, analog detail to a highly digital space. The dedicated pantry isn’t just for grabbing free coffee, free Friday lunch, or having the post-6 p.m. drink with co-workers. Aside from the creative workspace where AdSpark folks or “Firestarters” can unwind and let loose, it’s another work area that gets you out of your desk. The pantry wall is staged with a signature Instagram-worthy aesthetic, filled with interesting trinkets, mugs, and décor. A central table decked in wood paneling provides a sense of warmth to the place, whose most visually arresting element is its smattering of gray, black, and white geometric tiles. Another interesting feature of the AdSpark office is the private room it offers to breastfeeding moms, or even to employees that need a little bit of quiet time, away from the rest of the office. 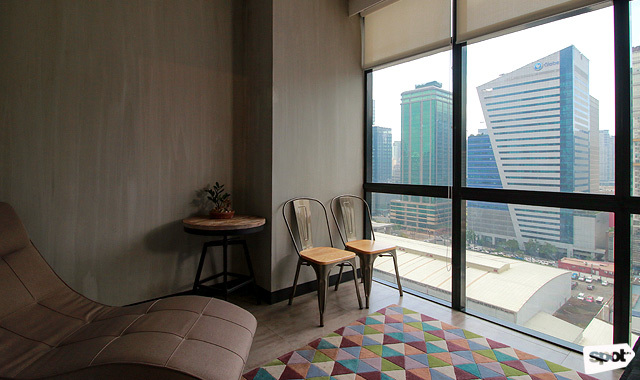 Equipped with a recliner, a small refrigerator, and a pretty view of BGC, it’s a great area to tap when you need to catch your chill.